Blade length : 69.3 cm or 27.28 inches. Sori : 1.7cm or 0.6inches. Width at the Kissaki : 2.06 cm or 0.81 inches. 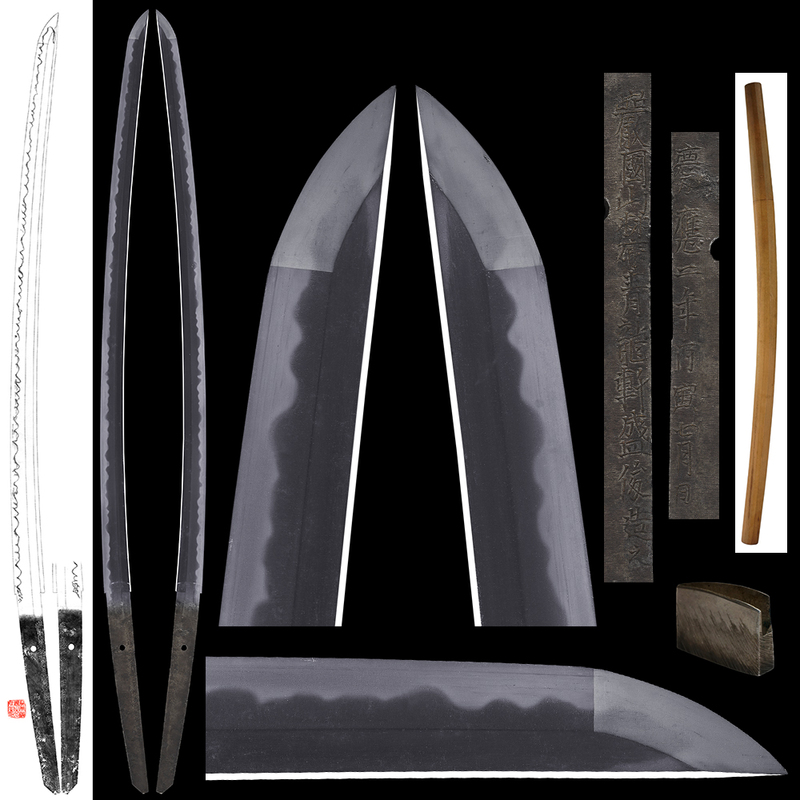 Shape : it is wide and thick sword with kissaki rather long. It is good shape katana. Jitetsu : Koitame hada well grained with jinie attached. It is clear jigane. Hamon : Nie ground gunome midare with boshi irregular style. Special feature : Seiryuken Moritoshi was called Iwamoto Kiyouemon. so the second generation Tsunatoshi has been working under Moritoshi. He was a mature man. 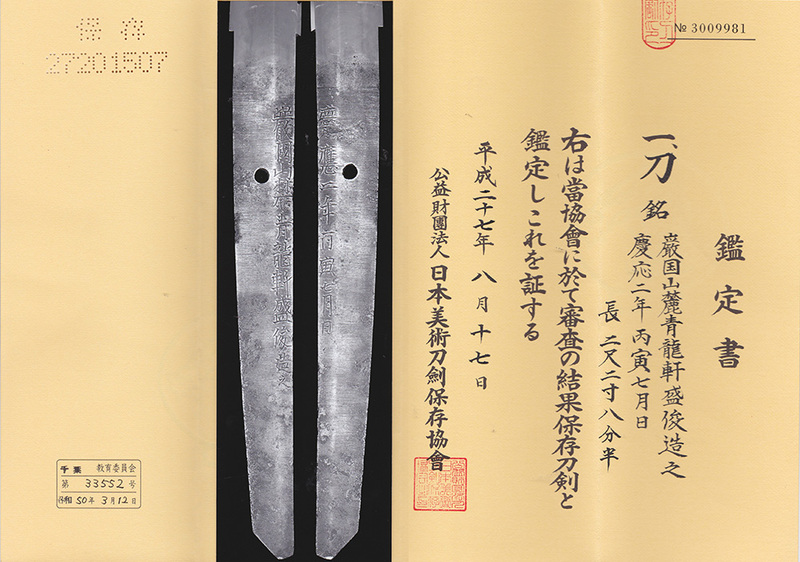 He was a personal sword smith of Shuhou Iwakoku han. His first pieces are gunome midare with some ashi naga shoji midare sen. This sword is, from the first glance, something that reminds of Koyama Munetsugu. Unfortunately there is a tiny Kizu in the middle part. But it is not serious. Tsuba : Clowd engraved on irregular-hexagon shape iron Tsuba. Fuchi kashira: Dragon engraved on Shakudo Nanakoji plate. Saya : Brown Ishime Ji Saya. Menuki : Dragon engraved on Shakudo plate.